Queso de bola is an aged, semi-hard Edam cheese from the Netherlands. It is traditionally served with slices of jamón during Noche Buena -- the Filipino way of celebrating Christmas Eve with family. 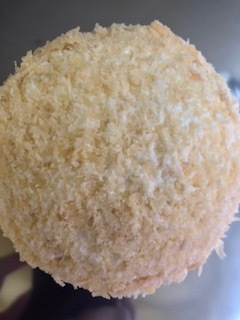 Chari faithfully uses the iconic Marca Piña® brand, which, since the 1900s, continues to be made saltier than other "cheese balls" in order to satisfy Filipinos' taste buds. 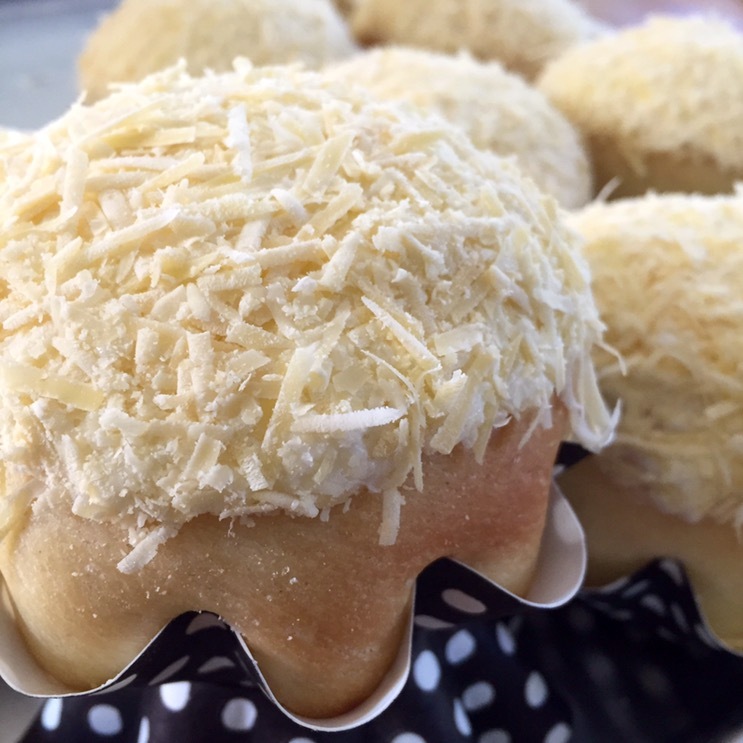 Its crumbly texture and umami taste elevates her QDB ensaymada to iconic status!